The U.S. market for home improvement and repair is now well over $400 billion annually as the housing stock faces pressure to meet the nation's growing and changing housing needs. Americans spend more than $400 billion a year on residential renovations and repairs. For over two decades, our Remodeling Futures Program has studied trends in the remodeling industry, including changes in the types and costs of projects that homeowners undertake, such as the growing interest in energy-efficient products, healthy homes, and “smart home” technologies. 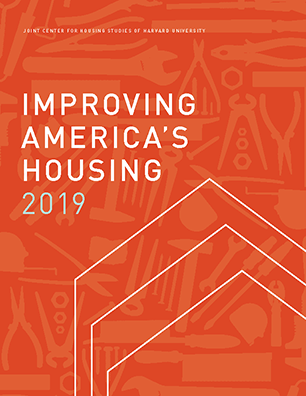 The program issues a biennial Improving America’s Housing report, a quarterly Leading Indicator of Remodeling Activity (LIRA), and other publications. The Leading Indicator of Remodeling Activity provides a short-term outlook of national home improvement and repair spending to owner-occupied homes. The Remodeling Futures Program of the Joint Center is a comprehensive study of the factors influencing the growth and changing characteristics of housing renovation and repair activity in the United States.